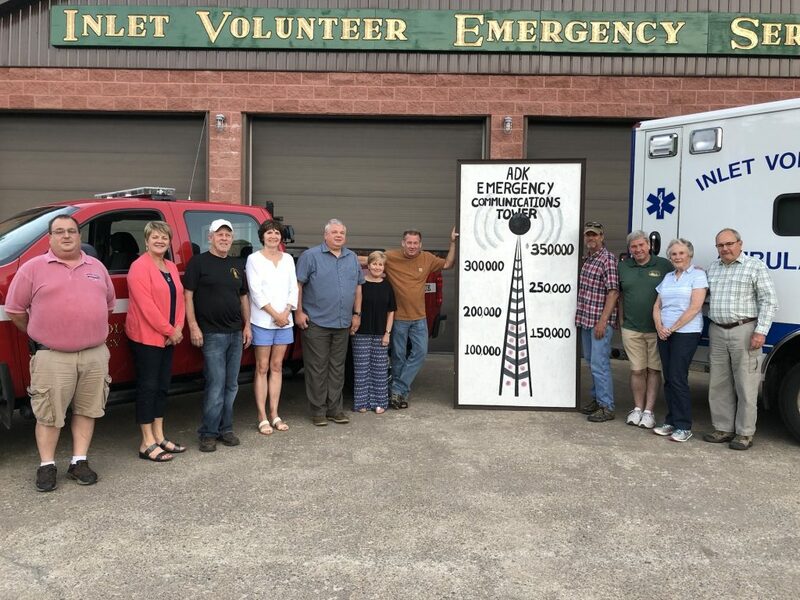 The Adirondack Emergency Tower Committee has started a grassroots fund to build an emergency communications tower to help first responders in the Big Moose, Eagle Bay, Inlet and Raquette Lake area. In less than a year, they are about to reach the halfway mark of their project goal. With donations through the CAP-21 Tower Account and AdirondackGives.org, the committee has raised just over $160,000 for a project that is expected to cost $350,000. The tower, which they hope to erect on Heroux Hill, will give first responders in the surrounding communities greatly improved service while communicating with 911 and each other during fires, accidents and medical emergencies. The committee knows that the second half of a campaign like this is the most difficult, but after only two months of handshake efforts to find contributions, they are excited that the residents, summer homeowners and visitors are all embracing this project. A giant tower/thermometer, painted by Jen Lamphear and Bill Faro, is now tracking the second half of the funding campaign and can be seen at Arrowhead Park. 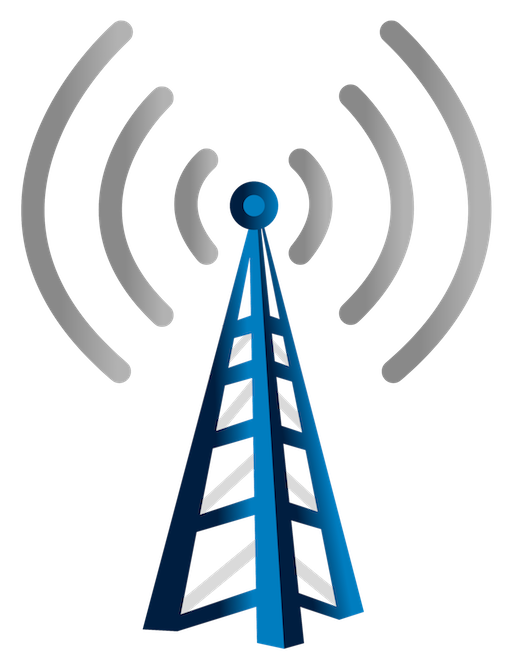 Information about the tower’s needs and coverage areas can be found at Adirondacktower.org. We would like to thank our halfway point contributors: Town of Inlet, Inlet Volunteer Emergency Services Inc., Joel & Bonnie Millikan, Cardinal Cap. Management, Waddie & Judith Kalil, William & Elena Keller, James & Jacqueline Savage, Rich Kissinger, Garry Savage, Donald Namm, Shirley Lindsay, Janet A. Mikovich, Katherine C. Bartlet, Paul M. Mirale, Allen & Elizabeth Millikan, Church of the Lakes, Timothy P. Brownsell, Richard & Mary Jane Lasher, Natalie K. Streb, Daniel & Wendy Ullman, Betsy Bicknell & Roland Cyr, Carman Matroianni, BJ Queen Enterprises, John F. & Stephanie Mitchell, George & Francis Longstaff, Christine M. Hall-Finney, Perry & Lois Eli, Jere & Sharon Snell, Gregg & Toni Rudd, Neodack Shores, LLC, Limekiln Lake Association, Martha & David Dill, Paul & Regina Chambers of Adirondack Reader and French Louie ADK Sport, Richard & Martha Mateer, James & Mary Murphy, Kerry & Anne Katlic, William & Sally Nolan, Robert & Carol Keller, Lawrence Roll, Robin Hill, Danial Chall, Dennis Hudson & Adele Burnett, Joan Parks, Lisa Adams, Kathleen Klaiber, Patricia Marini, Kenneth Korby, Douglas Brown, Charles & Marsha Herr, Kathleen Winter, Joan Cirillo, James Huss, Russell Lewis, Martha Shanahan, Ellen Best, Andrea Godin, Becky McGill, Richard Hardesty, Russell Ruhl, Daniel Jackson, Mitch & Bonnie Amidon, Douglas Kerr, Linda Blevins, Mike Sands, Bob Millikan, John & Sarah Frey, Peter Funk, Christine Holt, Ken Biehn, John Gallino, Steve Vekasy, John Hanlon, Diana Huss, Karen Schunck, Christopher Heffernan, Timothy Purce, William Faro, Burkhard-Evans Inc., Anna-Lisa Hafgren, Courtney Holt Schreppel, Dorathy Kolhbach, David Kuhaneck, Peter & Fay Sokolosky, Anne Fletcher, Stanzi Bliss. Charles & Nancy Frey, Burke’s Marina, Karin & William Green, Robert Smythe, Ellen Gates.